The ASTRID 18k Yellow Gold & Golden South Sea Pearl Drop earring features shimmery champagne South Sea pearls suspended from delicate 18k Yellow Gold hooks. Hypoallergenic and safe for sensitive skin. Golden South Sea pearls are among the largest, most valuable pearls produced today. They are grown in the gold-lip variety of the Pinctada maxima, South Sea pearl oyster. Their warm, golden tones are completely natural and untreated. Their host shell is the largest pearl-producing oyster, and as with other saltwater oysters, the Pinctada maxima is bead-nucleated. 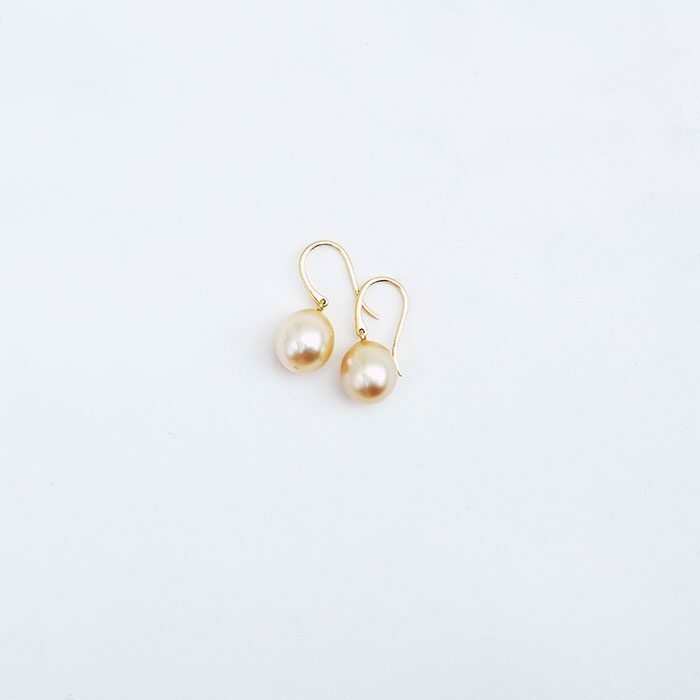 However, the growth period is approximately 2-4 years, unlike the Akoya pearls, which develop in one to two years, and Tahitian pearls which develop in under two years. 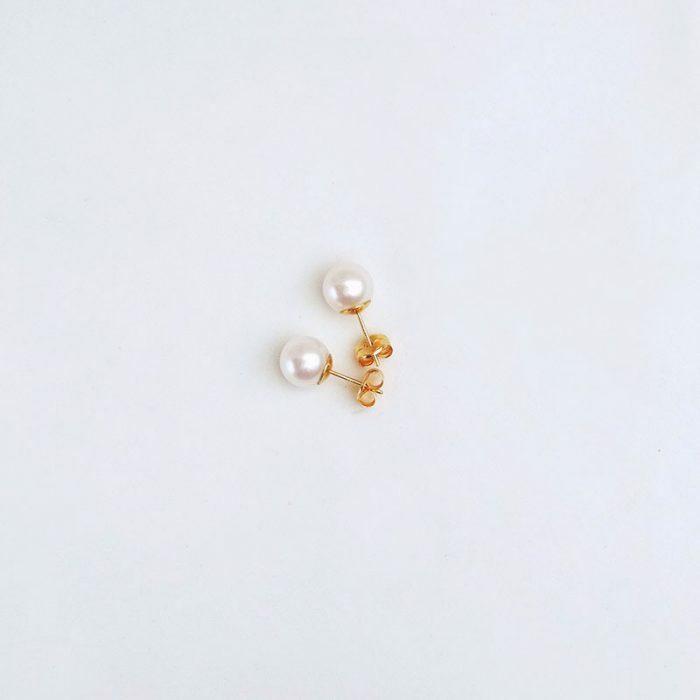 Golden South Sea pearls come primarily from the Philippines and Indonesia, with a small percentage coming from Australia. 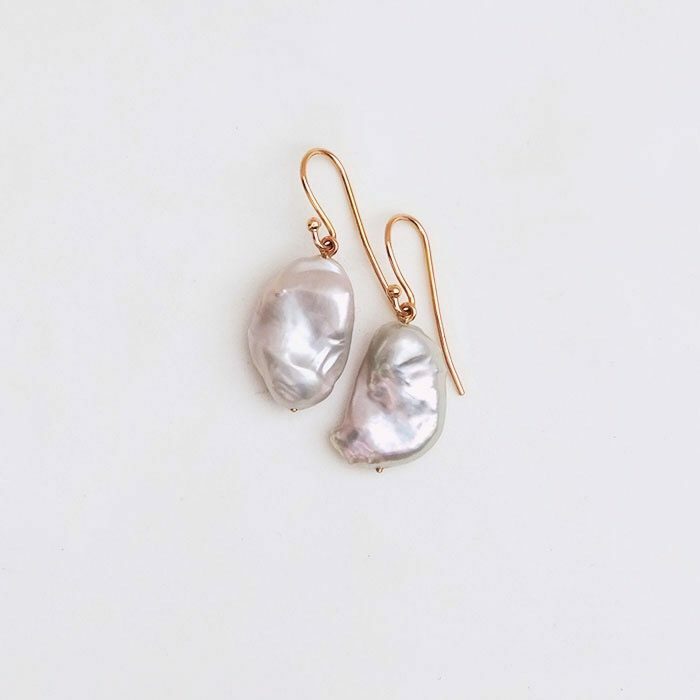 Tomber Amoureux is a line of fine jewellery for modern romantics: whimsical, elegant designs rendered in solid 14k or 18k gold and natural pearls. Inspired by the crashing waves of the sea and the bluest skies, the scent that hangs heavy in the air after a summer rain, our creations are a celebration of romance, each a love story made for those who follow their hearts and believe that the best dreams are the ones we have when we’re awake. Choosing a Tomber Amoureux design means never compromising on craftsmanship or quality, as each piece is carefully handcrafted in our workshop of solid gold (never plated, filled or vermeil). These beautiful pieces, romantic and versatile, are true modern heirlooms that will become a part of the story of your life. Tomber Amoureaux means to fall in love in French and that is exactly what we want you to do: to fall in love with our creations and with yourself while wearing them, but most of all, to fall in love with life.